Social justice activism has now invaded the snack food industry. 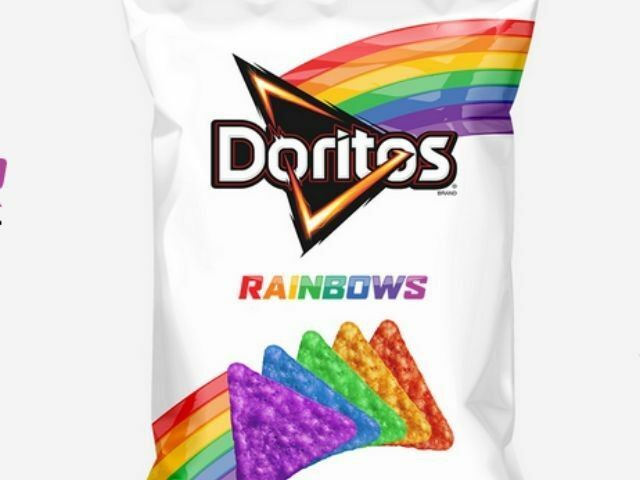 Doritos is offering a rainbow themed product to support LGBT issues. Doritos now has a new rainbow-colored corn chip in support of gay and lesbian teens — and they’re already causing a stir. Frito-Lay, the company that makes the snack food, unveiled Doritos Rainbows Thursday, a limited-edition version of its Cool Ranch-flavored tortilla that come in shades of green, blue, purple, red, and orange inspired by colors of the Gay Pride flag. “Doritos Rainbows chips are a first-of-its-kind product supporting the LGBT community. Doritos the brand has stood ‘for the bold,’ and we believe there is nothing bolder than being yourself,” Ram Krishnan, Frito-Lay’s chief marketing officer, said in a release. You won’t be able to find these corn chips in stores. They will be mailed to people who donate at least $10 to the It Gets Better Project, an organization started to encourage gay and lesbian teenagers who’ve been bullied. During the promotion, donors and supporters will also be encouraged to share photos and videos on through a special website and on social media using the hashtag #bolderandbetter.